The Fiji military had only a few warm days of love from the public after they had executed the fourth coup in December 2006. 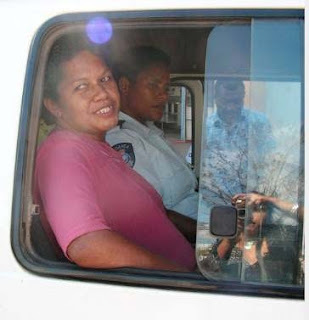 Many Fijians and Indo-Fijians welcomed the army intervention into their lives as they watched Prime Minister Qarase and his government leave their official homes and hand over their government issued four-wheel drives. The army quickly accused Qarase of corruption. Chief Justice Fatiaki was also accused of corruption and suspended on full pay, but 18 months on little has happened to prove either man guilty or innocent. The courts seem clogged up or fogged up in their decision-making. They have still even answered the basic question - was the Constitution abrogated when Bainimarama and his gun-toting soldiers took over the nation? The government was kicked out with guns pointing at them, the President dismissed and then reinstated. Yet we have had a key organisation like the Fiji Human Rights Commission saying the Constitution might still be in place and we should await a decision from the courts. Really! Even a number of judges are convinced the Fiji Constitution has gone the way of all flesh, and they are not waiting for the High Court to tell them otherwise. Justice Gerard Winter said the “risk to the maintenance of the rule of law was too great a price to pay” and Justice French questioned the ethics of taking up a job in Fiji with the comment that “it comes at too high a price”. The military has been active during its reign. CEOs have lost their jobs overnight. Others have been appointed, then dismissed without warning and replaced. This has been the modus operandi in Fiji for the last 18 months. Two expatriate publishers working for the two main newspapers have been deported on the first plane out of the country without their families. The full reasons for deportation have never been given. An army officer soldier is now the police chief. TV has an army officer watching them on a daily basis. Journalists get regularly taken to the army camp to be intimidated with soldiers strutting around, enduring long interrogations and spending time in a cell. The most recent case was a newspaper journalist who was several months pregnant. Files are seized without warning from offices during sudden raids. Few files are returned and few charges have been laid. The feeling among thinking citizens is that the army is gradually tainting its reputation by acting as if it always has had the moral high ground. The most recent example was when the army commander, who is also the interim Prime Minister, collected just under $200,000 for his untaken leave. In any other organisation he would have been forced to take the leave or he would have lost it. The army decided to make its own summer. It established a 45 person committee to prepare a People's Charter, a modern Fiji Magna Carta to help the poor and oppressed, make jobs and eliminate racism and corruption. The People’s Charter is to reform Fiji and lead it onward to a prosperous and harmonious future. That is the sales pitch. It proposes to help the poor and there are certainly enough of them. One third of the nation lives below the poverty line. Many of them struggle to make a livelihood in dirty inhumane conditions. Five years ago a survey identified 182 squatter settlements, today there are more than 200 with a population of around 100,000. According to Wadan Narsey, an economist and academic, the poor have been expanding at 1% a year since 1987. Mr Rabuka, are you listening? The draft charter has numerous recommendations for improving health, education and helping the poor, but there are only a few recommendations in it requiring legislative changes. One key proposal is for the electoral voting system to be reformed to a proportional representation system with each person having only one vote for one candidate in any general election. Racial elements in the voting system are to be dismembered. All citizens will be called Fijians and all government records reflecting racism will be erased. And at this moment a huge campaign has begun by the NCBBF to spread the word around the country about the content and principles in the draft charter. The public are invited to read the charter and attend a series of public meetings. At the end of these meetings the public will be offered a form to sign saying that they approve or disapprove of the charter. On the surface this seems a harmless action, but both the Secretariat boss of the NCBBF and an academic of the University of the South Pacific have publicly said that if more than half the population think the Charter is a good idea, and they say so by ticking the approval part of their forms, this action could be seen as taking part in an unofficial referendum. If over half the nation says they approve of the charter ideas the military will love them and so will the NCBBF. While the NCBBF seems to be full of good men and women who are doing their best to lead Fiji forward by “change, peace and progress”, it is apparent that the hard work of consultation and listening to the views of the nation means damn all to the military, who have already made their minds up that the charter will become the blueprint for developing Fiji. Now events have moved towards a bitter winter of discontent. The military want the charter to be accepted. Other groups want it to fail. Former Prime Minister Qarase has denounced the charter and he has a big following with his political party. The Methodist Church with its dubious record of supporting previous coups, but not the present one, has become moralistic and pure and talks about democracy. This is the most important church in the country as far as the indigenous Fijians are concerned. Recently, NCBBF took around copies of the charter to the Methodist church office only to have them refused and returned. Ironically, this event was caught on cameras and made the 6 pm news. The Methodist leaders rejected the Charter without even discussing it. Some traditional chiefs have also come out against the charter. Each day the newspapers have yet another article about the charter and numerous letters. So where do we go from here? There are meetings planned by the NCBBF to take place in most of the towns and villages in Fiji. Here they will gather public opinion. Their hard work comes to a peak in October when the President will be presented with the draft of the People’s Charter and any amended recommendations. It will then be up to the ailing President and the army commander to say what the next moves will be. My guess is that the army will quickly want to get the electoral system changed to one with proportional representation. Only then can an election day can be scheduled and the military will be able to say with a straight face that they are planning to return the country to democratic rule. In the meantime they bluster, bully the media and blame Australia and New Zealand for not supporting a coup! What will to be decided after October is crucial to Fiji’s future. Decisions made by the President, the army commander and his hidden supporters will clearly be undemocratic, but they should lead towards a sunny summer day of democracy in either 2009 or 2010. Do the citizens of Fiji live in hope? All, I hope, live so. Today was the end of the "Heavy Horse" saga or so I thought. The New Zealand Diversity Forum 2008 ended with the presentation of a report back to the community from the Human Rights Commission and delivered by Race Relations Commissioner Joris de Bres. The report entitled Pacific Peoples in New Zealand was commissioned in response to the events surrounding the release of Massey University lecturer Dr Greg Clydesdale's discussion paper and the subsequent frontpage publication on 20 May 2008 by the Dominion Post of parts of that paper. Media coverage of the discussion paper. All this for a mere five paragraphs and a table. That's how much the commission says Clydesdale actually wrote specifically about Pacific peoples in his "report". In fact, according to the commission, Clydesdale's press release to the media (which got everything going in the first place) was practically everything said in the paper itself – everything about Polynesian immigration that is. In a 25-page report, supposedly about New Zealand immigration policies, five paragraphs and a table were presented about Polynesian immigration; yet it is this that he sent to the media. Question mark, here = ? Thus the resultant headline (which I won't even mention because it was so ridiculous), the spun story and the explosion of bigotry that followed (in online blogs, forums and probably in people's bedrooms). The commission's report outlines the Pacific community response as being, um "angry" and "dismayed." Ah, yeah. But anyway, more to that, it imparts several responses elucidating exactly why the Pacific community was angry, dismayed and pissed off (that's not from the report). Not that it's just an emotive response. The Clydesdale discussion paper was poorly researched and poorly written. That's quite obvious. The Dom should have done more research into who was sending them a press release, how much credibility that person had and if the claims made in the release were in fact true. The same goes for Massey University and their claims to uphold academic freedoms and freedoms of speech. The amazing thing here is that it's not the first time Clydesdale has made statements against "Polynesian immigration" (mostly in The Press) and clearly he has an issue with it. A "race-based" issue. I commend the commission, and in particular Joris de Bres, for taking up this review and for the thoughtful, well-researched and organised report that has been produced. But really, why on earth do we have to justify, argue and explain these things? Meanwhile, there was some good stuff at the Media Diversity Forum with an intriguing range of voices - some recorded by Aaron Taouma for the Pacific Media Centre - and speakers such as Arlene Morgan, from the Columbia School of Journalism, and Tagata Pasifika's Taualeo’o Stephen Stehlin calling for a two-way "conversation" with the Pacific. "There's something else that keeps making noises out there and purports to represent the same - or almost the same - agenda PFF is pursuing. It's called Pacific Media Watch." Actually, not correct. 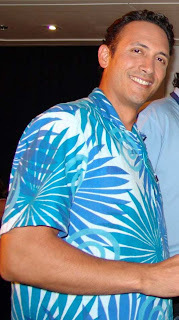 As co-founder of Pacific Media Watch with Peter Cronau in 1996, I stress that our initial objective was to start developing a media freedom resource for the region at the University of Technology, Sydney, and our first campaign was in support of Kalafi and co. (a petition of more than 100 journos around the Pacific called for their release). Since then, PMW established a website on c2o community server in Sydney (no longer updated since April 2008) and the entirely voluntary service has now been taken over by AUT University to develop as a DSpace digital archive. 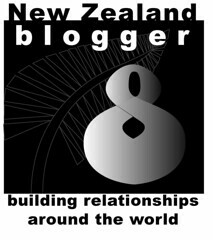 This collection is being expanded to include audio, video files, Pacific media theses, book chapters and regional media documents and resources - all available free on a creative commons licence. An ideal resource for j-schools. More than 5000 files are part of this archive and are in the process of being loaded. In other words PFF and PMW have quite different briefs - but complementary in the struggle against the predators. Good luck to both! 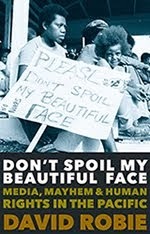 Sifting through all the rhetoric over the Fiji media issue, University of the South Pacific's Shailendra Singh has produced the most thoughtful piece - an overview of a history of repression against the scribes. 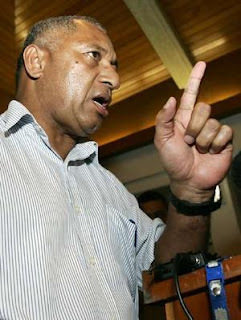 Bainimarama's crowd is just the latest bunch of authoritarian gatekeepers and certainly not the most sophisticated. Are the murky circumstances of the killing of East Timor rebel leader and cult hero Alfredo Reinado and a top henchman starting to unravel? Did they die in a shoot-out with security forces during a presidential assassination attempt - as the authorities would have us believe - or were they executed? An autopsy report points to their execution, rather than being shot by security forces during a presidential assassination attempt, according to Paul Toohey in The Australian. His report was widely picked up by international news services and monitoring agencies. 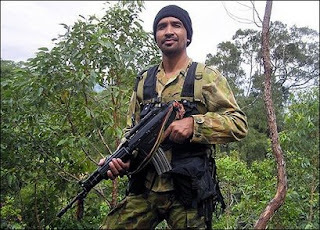 The autopsy showed rebel soldier Leopoldino Exposto was shot once in the back of the head at "close range" following the February 11 assassination attempt on President Jose Ramos-Horta, according to The Australian. Reinado, the 42-year-old army major who led a rebellion against the former Fretilin government, was also shot and killed at Ramos-Horta's presidential compound and four bullet entry wounds showed he was also shot at extreme close range. "There were multiple complex gunshot wound (sic) on the left face surrounding the left eye, base of nose, upper cheek and forehead with laceration and blackening of the skin," Reinado's autopsy said. Reports of executions by security forces could stoke fresh tensions in the fledgling country, where ethnic tensions are still raw. 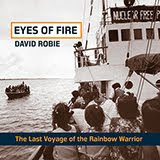 Interviewed by Radio New Zealand, Toohey ran through various scenarios alleging the Australians, Indonesians and other foreign hands in the deaths. The autopsy said burning and blackening around Reinado's wounds in the eye, neck, chest and hand suggested he had been shot at a distance of less than 30 cms, rather than by guards standing 10 metres away, which is the official version of events. "Burning and blackening is a feature of very close-range shots, probably from less than a foot away. If you see burning and soot-type burning, it indicates that the barrel of the gun was very close to the skin's surface," David Ranson, of the Victorian Institute of Forensic Medicine, told the newspaper. Nobel Peace Prize winner Ramos Horta was critically wounded in the assassination attempt and he spent two months recovering in Australia, where he was flown for life-saving surgery. The attack also targetted Prime Minister Xanana Gusmao, who escaped injury. The autopsies were conducted by forensic pathologist Muhammad Nurul Islam, who wrote that Exposto and Reinado were killed with a high-velocity rifle. Nurul said Reinado's wounds featured "blackening/burning" especially so in his left eye, where the marks covered a large 10cm x 9cm area, possibly indicating a point-blank shot. New Zealand's Defence and Foreign Affairs Ministers Phil Goff Goff and Winston Peters said they were awaiting briefings on "new and possibly dangerous developments" in Timor-Leste. After the angry rumblings over Anwar Ibrahim's sudden arrest in Malaysia over more trumped up politically-inspired allegations (a celebrated speaker at last year's AMIC in Singapore, he was freed before delegates had time to issue a protest) and sessions on regional abuse of media freedom, the conference wound down with a series of R & R visits outside Manila. I chose Subic Bay Freeport to check out the development given that 19 years ago I was a journalist covering the international Peace Brigade protests about US presence at Subic and at the Clark Air Base. It's certainly an extraordinary and controversial attempt to turn a military base through "volunteerism"into a tax and duty free zone like Hongkong or Singapore. Former colonial power Spain established an arsenal and ship-repair facility at Subic Bay in 1885. But the US took over after the Spanish-American War and turned Subic Bay into a US Navy and Marine base. It was critically important during the Vietnam War as the base of the Seventh Fleet. After protacted protests after the ousting of Marcos, the Philippine Senate finally rejected US terms for extending the lease of the base. Sadly, the memorial outside the SDF headquarters honouring the 12 senators who were key to giving the US the boot from the base has been poorly maintained. Four of the plaques have vanished altogether. The last US warship, USS Belleau Wood, slipped out of Subic Bay on November 24, 1992. Most interesting for my visit was the nature and marine parks that have been created. A minor drama for our small AMIC group was feeding a couple of aggressive tigers in the "tiger safari" park. We were well-protected, of course. 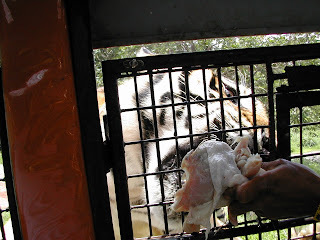 Instead of humans visiting the zoo, it was more like tigers being up close and personal with humans inside caged vehicles. 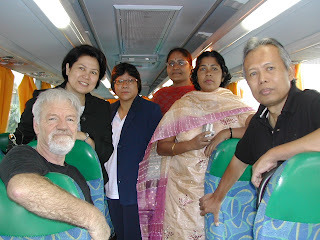 Pictured include Pacific Media Centre director David Robie, Angie Chew of AMIC (rear) and Zulkarimein Nasution of Universitas Indonesia (right).